Our Teacher Training program provides professional development training that addresses both pedagogical and subject area skills at the early childhood education, primary, and secondary levels. These training are designed to meet the guidelines and standards of the Ministry of Education. Currently in Haiti, at the early childhood education level, there are 20,000 teachers, but only 42% are qualified to teach at that level. And the situation is even worse at the primary level, where only 22% of the 60,000 teachers are qualified to teach. Given the enormous challenge of the lack of qualified teachers in Haiti we take this program on the road. We travel outside of our center to regroup and train educators in remote areas of the country in addition to hosting regular trainings at our location. 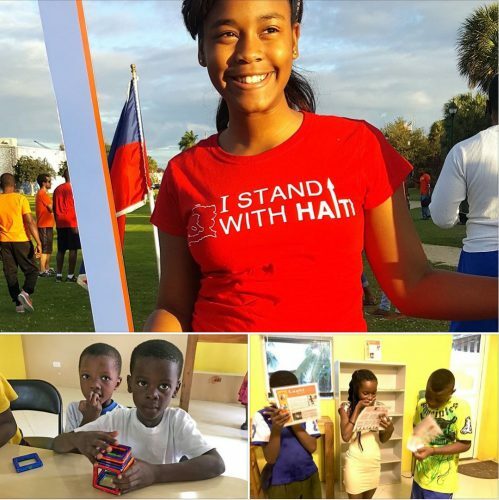 You may not be a teacher (educator) or never even set foot in Haiti but your contribution is helping to educate children in Haiti – Thank you!!! Making learning fun and exciting for the children of Haiti who have so much to deal with at a very early age. Education Jump Start provides school supplies and tuition support to students. As you know, 85% of the schools in Haiti are non-public schools and, now more than ever, parents have a hard time paying for their kids’ tuitions. We work with local schools and communities to identify those with struggling payment history. The identification process is done by our Hope Team members in Haiti who interview local families to ensure that the money goes to the neediest. The Education Jump Start program also provides teaching kits to teachers to make sure they have all the necessary materials to teach. As most educational research indicates, we believe teachers should be empowered since they are at the heart of education. Our goal for the next ten years is to train 55,000 teachers. For the past two years, we have been providing professional development training for teachers through a number of partnerships. This summer, in collaboration with Haitian Christian Schools and Action Citoyenne, our teacher trainers organized professional development training for teachers on the Island of La Gonave. During those trainings, we addressed two critical areas. We stressed the importance of life-long learning and encouraged teachers to increase their content knowledge by continuing their education through various means. We provided teachers with educational resources so they can continue to increase their own knowledge base. Additionally, we trained teachers in the modern theories of learning and cognition. We discussed the works of Piaget, Vygotsky, Maslow, Gardner, and Bloom and their implications for the classroom. We not only discussed the many theories of how children learn, but we also gave participants strategies and techniques to engage students in their learning and to help them develop necessary 21st century skills. Our goal is to sustain these trainings throughout the year through continued and systematic opportunities for professional development workshops. With the establishment of our community centers, these efforts will be scaled and replicated in other parts of Haiti. We are asking for your support so that we can continue this essential work. In this flat world, we all know the critical importance of educational competitiveness for economic and social development. Your support will help us contribute to the improvement of educational quality in Haiti. 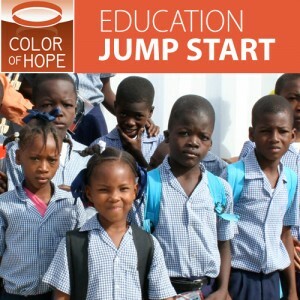 The most immediate way you can help is to make a donation toward Color of Hope’s Education Jump Start, which will benefit students and teachers in Haiti. Supplies needed: Book bags, notebook paper, pens, pencils, pencil sharpeners (non-electric), markers, highlighters, dice, graph paper, folders, chalk, poster board, index cards, scissors, teacher record books, and scotch tape. 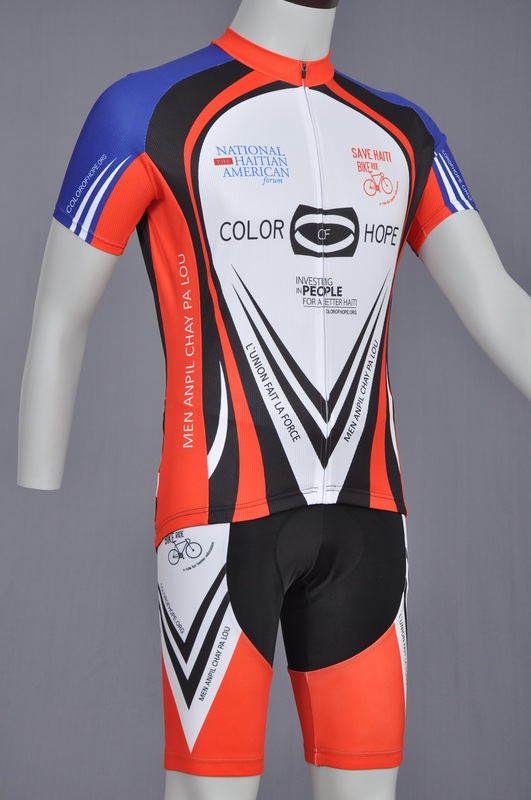 Financial donations can be made right here on our website.